New Delhi, Oct 06, 2017 : Government on Friday revoked GST notification on gems and jewellery stating that PAN card will no longer be mandatory on the purchase of jewellery for over Rs 50,000. The decision was taken at the crucial meeting of the GST Council today. 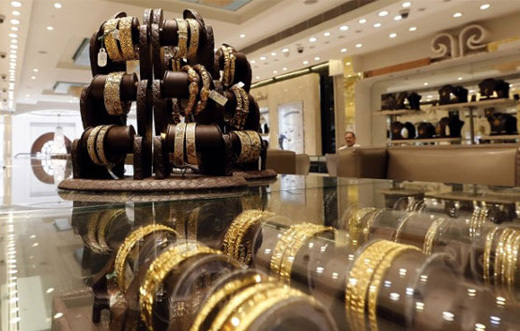 Offering further respite to Jewellers, the meeting further concluded that any entity dealing in gems, jewellery and other high-value goods that has a turnover of Rs 2 Crore or more in a financial year will not be covered under PMLA. The GST Council has also reached a consensus on increasing the threshold limit for Composition Scheme to Rs 1 crore from the current Rs 75 lakh to ease tax filing for small traders. Under the Composition Scheme, traders have to pay a fixed tax rate between 1-5 percent. The Council is also discussing other relief measures for traders, including quarterly return filing. Chaired by Finance Minister Arun Jaitley, the 22nd meeting of the GST Council was attended by finance ministers of states and GST Secretariat officials. As per Zee News report, the GST council has offered major sops to the SME sector under which businesses having annual turnover upto Rs 1.5 crore may be allowed to file GST returns once every three months. Exporters may be given relaxation in filing GST returns till March 2018. Meanwhile, businesses with annual turnover less than Rs 20 lakh may be allowed to file the returns using a simple form. The Group of Ministers, under Sushil Modi, set up to look into GSTN glitches is believed to have briefed the Council on the portal’s functioning.